Compact in size, but delivering the best, the DR 6030C is the latest innovation in scanning; featuring the newly developed 3-line CMOS sensor system for astounding speed and quality you can rely on. Featuring the newly developed 3-line CMOS image sensor, the DR 6030C is able to scan 3x faster than normal 1-line scanners at 60 pages per minute and with fuller more accurate colour reproduction. 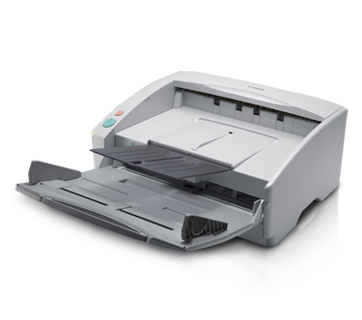 The improved JPEG transfer function in the DR 6030C compresses image data, regardless of the file format so it is transferred from scanner to PC in shorter time. Featuring both Straight path and U-turn path feeding, the scanner is able to accommodate a wider variety of paper types, including thick cardboards and plastic cards.